X-Men: Dark Phoenix is going to be directed by Simon Kinberg, marking his directorial debut. He has worked as a screenwriter for X-Men: The Last Stand, and the Fantastic Four reboot, both of which had put a bad taste on a lot of fans’ mouths. However, Kinberg has worked on projects loved by fans including X-Men: Days of Future Past and Star Wars Rebels. Now we have reports of audience test screening reactions for X-Men: Dark Phoenix, and they are not looking positive. According to The DisInsider’s Skyler Shuler, he has chatted with six people who have attended three different X-Men: Dark Phoenix test screenings. They all revealed to him that the screenings were bad. This isn’t the first test screening for X-Men: Dark Phoenix, with previous screenings also not faring well. A DisInsider’s source also says that the film is as bad as the Fantastic Four reboot. That is troubling to hear. Fox and Kinberg have been trying to improve the film with reshoots. This could be a problem, or it can actually help make the film better. Reshoots have improved Rogue One, with one of the best scenes including Darth Vader attacking the Rebel Alliance in the final scenes. Then again, the reshoots for the Fantastic Four reboot didn’t do it any favors. In the end, we’ll find out once the movie is released to judge for ourselves. The film is written and directed by Simon Kinberg and stars James McAvoy as Professor X, Sophie Turner as Jean Grey, Michael Fassbender as Magneto, Jennifer Lawrence as Mystique, Nicholas Hoult as Beast, Tye Sheridan as Cyclops, Alexandra Shipp as Storm, Kodi Smit-McPhee as Nightcrawler, Evan Peters as Quicksilver and Jessica Chastain as an alien who will manipulate Jean Grey and the Dark Phoenix. 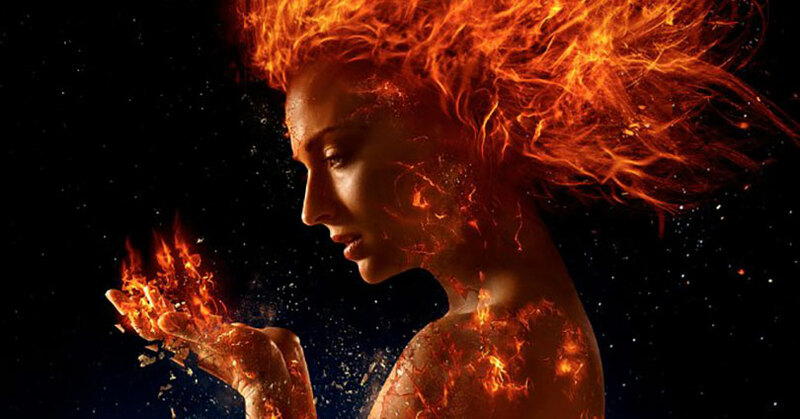 The post X-Men: Dark Phoenix reportedly underwhelms at audience test screenings appeared first on Nerd Reactor.